Grab your coupons and SAVE BIG starting this Sunday at Walgreens. 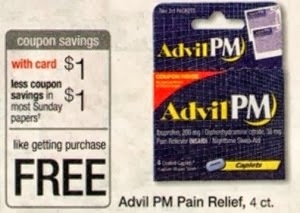 You too can pick up FREE Advil PM. This is a GREAT item to add to your stockpile.